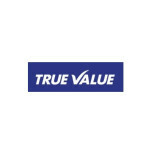 In business since 2001, Maruti Suzuki True Value is a platform dealing in pre-owned cars in India. Showcasing constant growth in size and reputation, this second-hand car market has expanded its network to include 1190 outlets across 236 cities in... the country. Recognized for offering a wide range of brand certified cars, Maruti Suzuki True Value has also established its presence digitally. Buyers and sellers can now either log on to its official website, or download its mobile application to access the brand’s online marketplace. To ensure that customers get nothing but the best, all cars at Maruti Suzuki True Value outlets have to go through as many as 376 checkpoints of assessment.